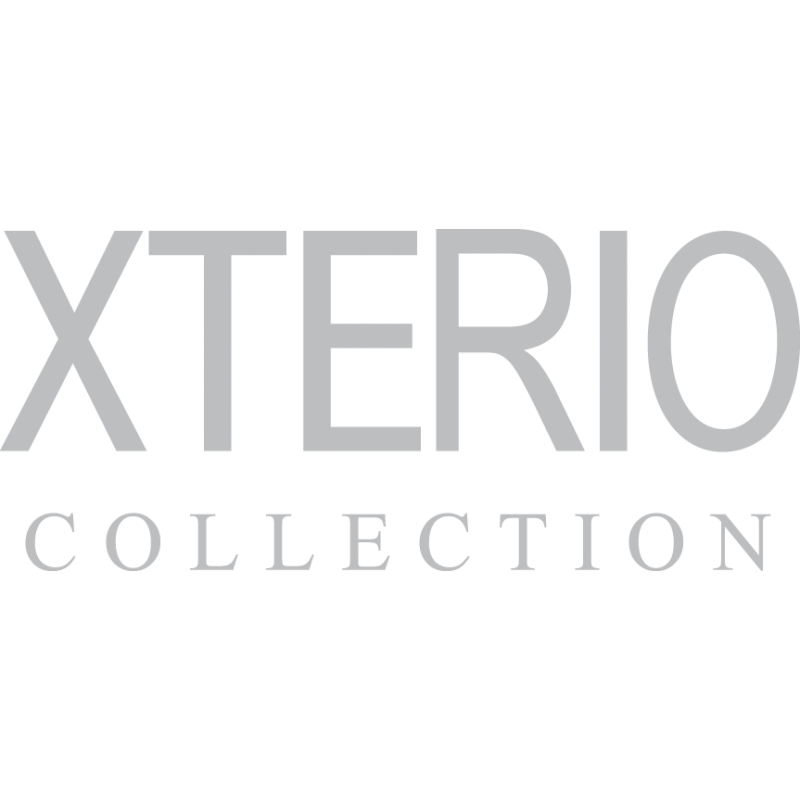 Brands: Orac Orac Xterio Item Number: C835 Category: External Cornice. 21.5cm High x 20cm Projection. Tags: Coving for door canopy, Exterior coving, Finishing moulding for porch. 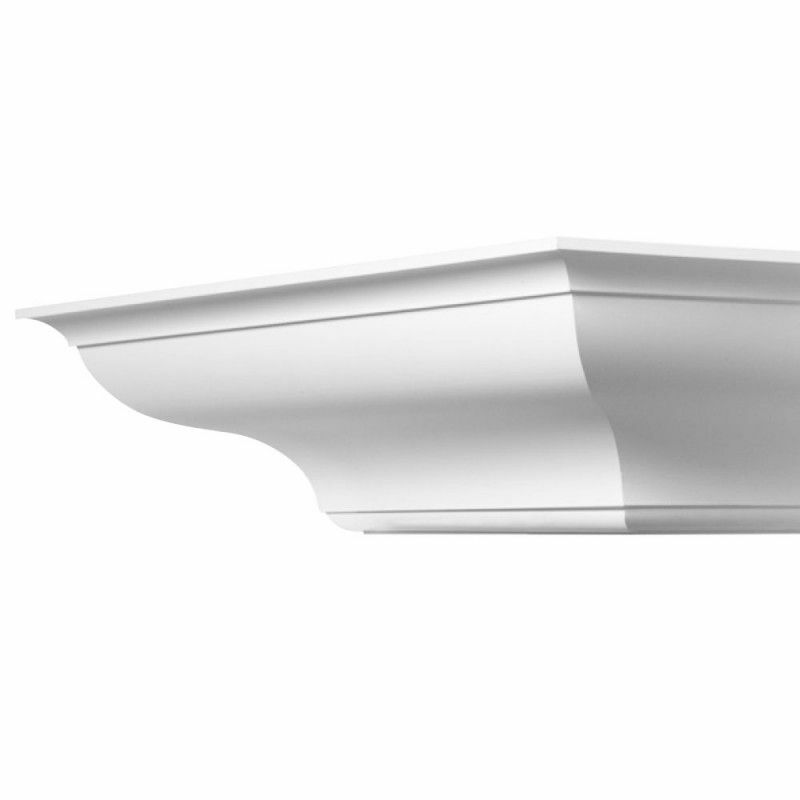 Large, plain external cornice / coving. 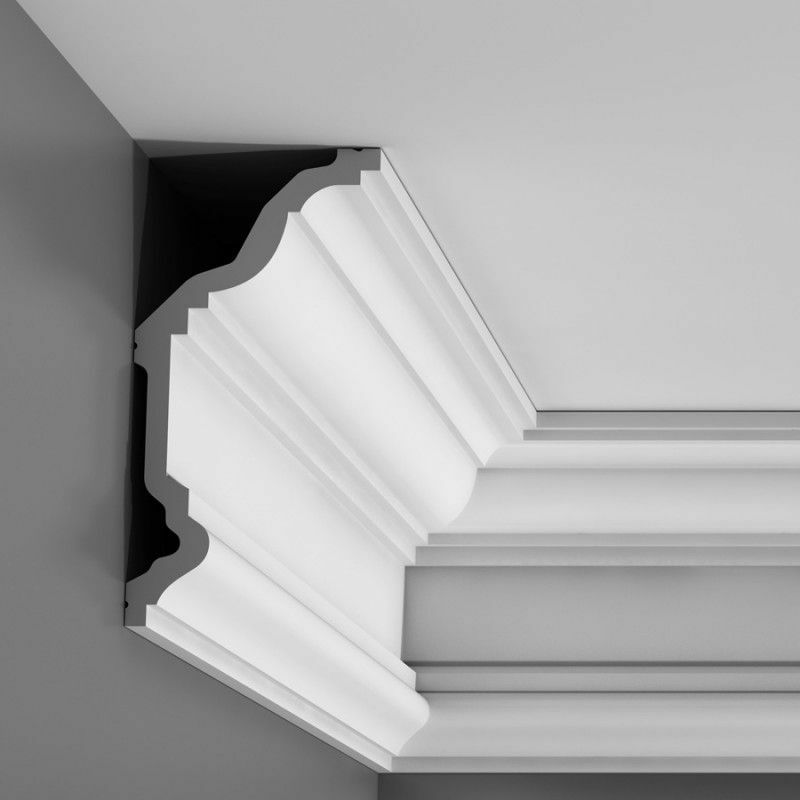 Our external cornice and coving range are the perfect choice for finishing under the eaves of a roof or above a dormer window. 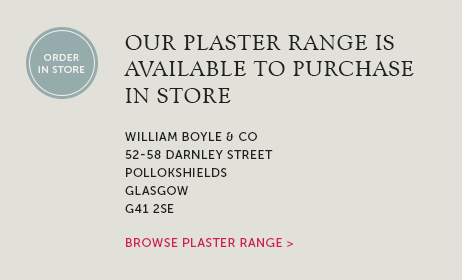 The sharp detail works perfectly with traditionally styled period properties and also modern built homes. 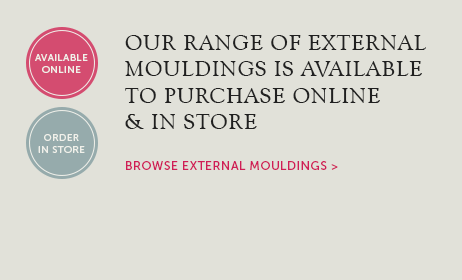 This external moulding features a large ‘S’ shaped profile with stepped edging on the top and the bottom. 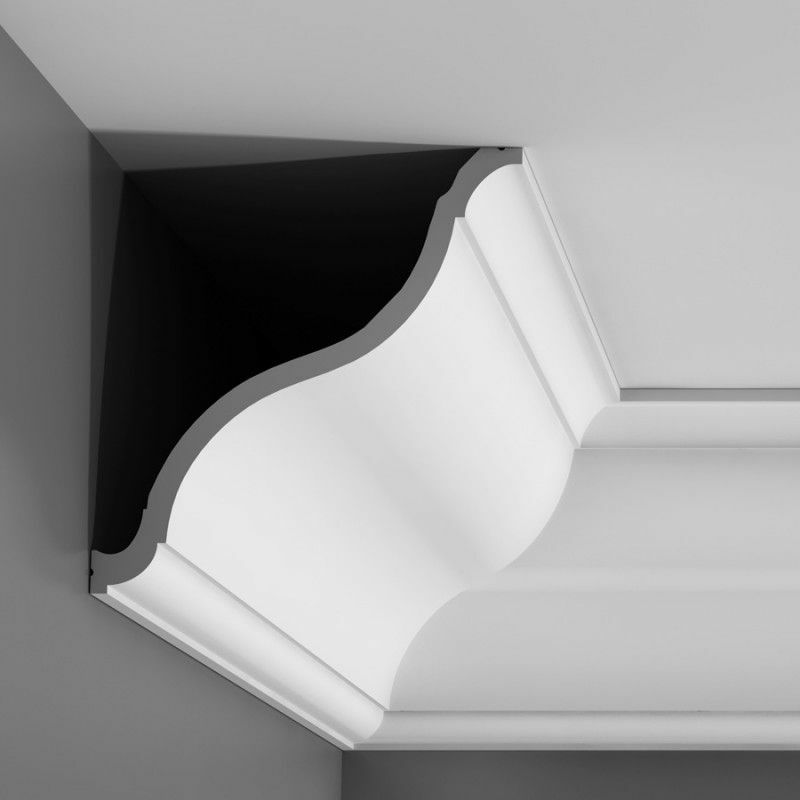 This exterior coving can be turned in either direction to suit requirements. 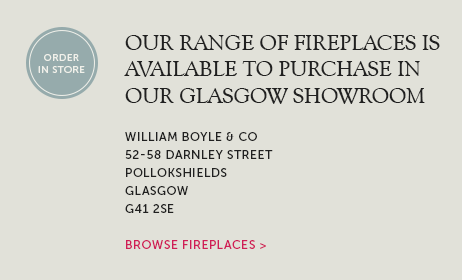 Our exterior covings are made in high quality polyurethane and are pre-finished with a white automotive paint finish but can be painted once installed to suit the colour scheme of the building facade. 21.5cm High x 20cm Projection. Lightweight Purotouch with white external paint finish. 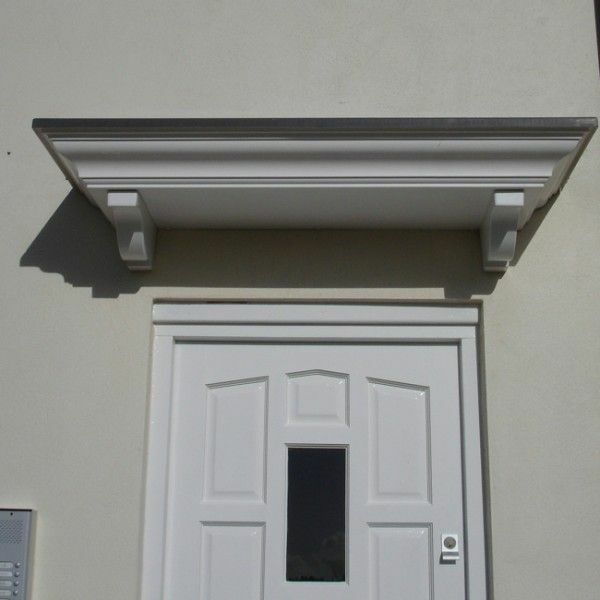 DESIGN IDEA – External cornices are generally used below the eaves or guttering of a building and they can also be used to finish around the facing of a porch or portico. Our Design Gallery shows this coving being used to finish around the face of a porch canopy along with our TF01 corbels being used below the canopy. 22.2cm High x 20.2cm Projection. Large, swans neck shaped, plain lightweight cornice. 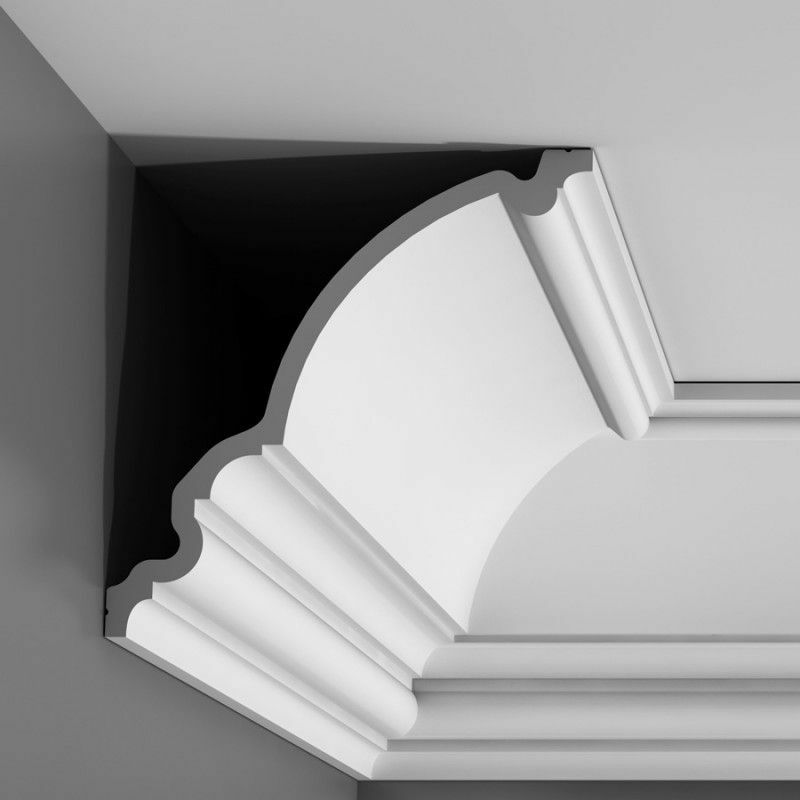 This is one of our largest cornice designs and is perfect for large rooms or ceiling heights of 3.5 metres or more. Lightweight Purotouch. 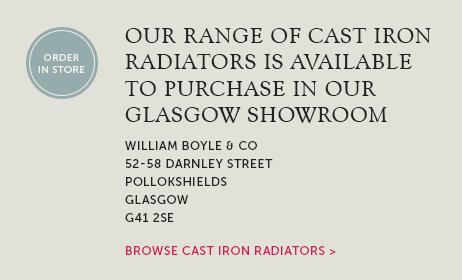 Supplied in 2 metre lengths. 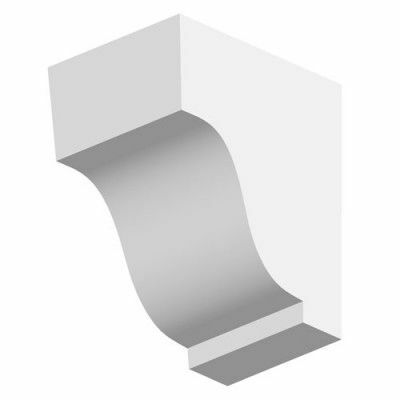 Small, plain dentil / corbel for exterior use. 7.7cm wide x 12cm high x 10.5cm projection. Orac Lightweight Duropolymer.